Anna’s Suite was the personal room of Anna Thorne, the beloved wife of Chester Thorne and the original bride of Thornewood Castle. 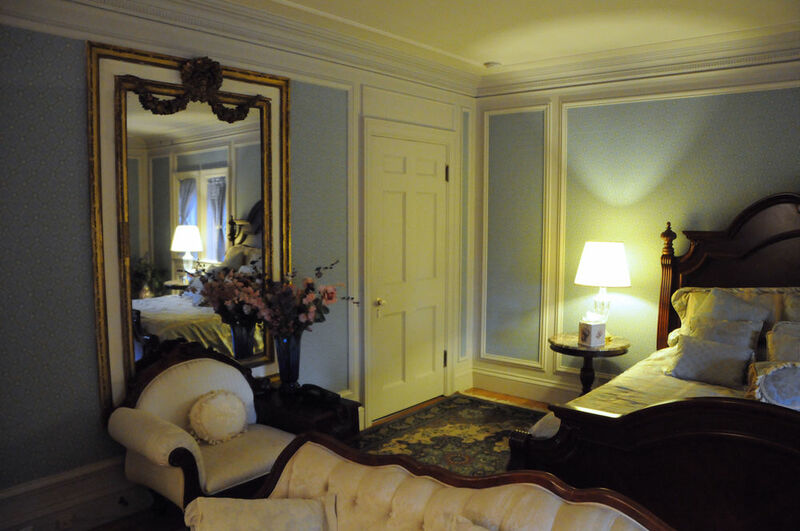 This suite is filled with fine cherry-wood furniture, king bed, Victorian lounging couches, and decor inspired by Anna Thorne, including her original ornate wall mirror. 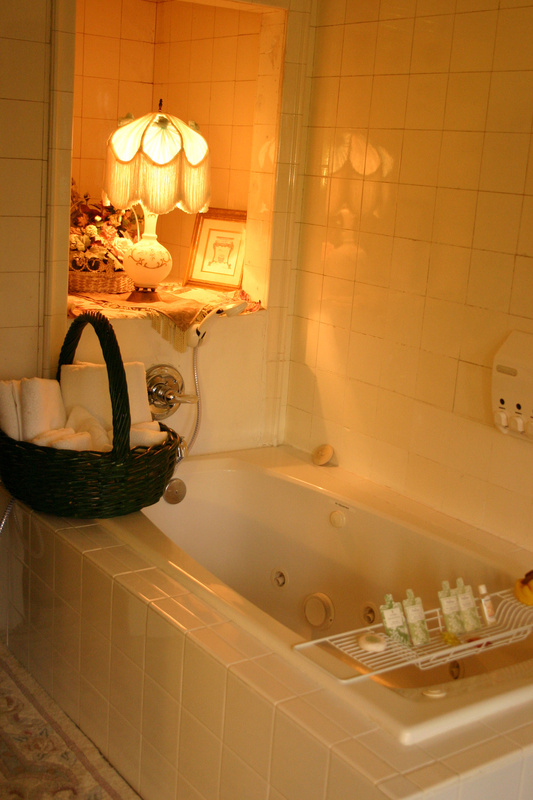 Indulge in a luxurious bath or have a cup of coffee while taking in the beautiful views of the sunken garden from the suite's huge bay windows. This suite features a beautiful view of the sunken English garden, a large bathroom with a jetted tub and hand shower, with a separate water closet. The kitchenette with mini-fridge, sink, coffee-maker, and microwave is stocked with coffee, teas, and utensils for your use. Anna's Suite is a favorite for honeymoons and anniversaries or just a relaxing night out, with its distinctly romantic and elegant decor and luxurious amenities.